Good morning polished world! How are you all today? I hope every one had a very calm and relaxing Memorial Day weekend! I skipped posting this weekend because I was fully enjoying the weather and the three day vacation. Today is Tuesday (which feels like a Monday), which means it is time for another Twinsie Tuesday. Our theme today is "mattify!" which means it's time for some good old matte nail art! Now, I love matte nails on other people, but on me I feel like they just look odd. Maybe it's my nail length or shape. Maybe I'm just overthinking it. Who knows. 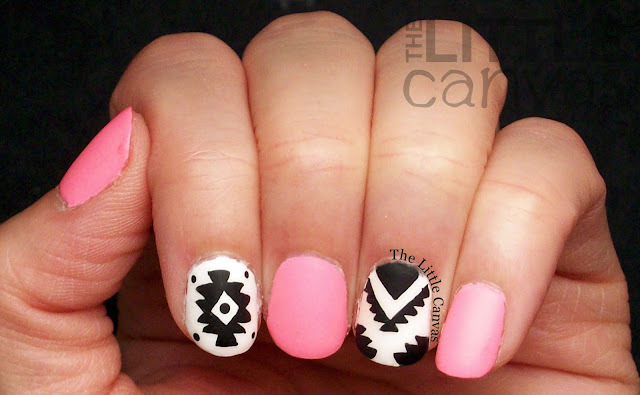 I was going to do a floral design today, but then I saw this cute tribal looking manicure by Nail That Accent. I just had to re-create it! See? I think they look weird on me! Mine are no where as good as Lindsay's! I used Tickled Pink from Salon Perfect. It's such a pretty neon pink polish which is a lot brighter than what it is photographing as. It had a weird formula like most neons do. I had to use 3 coats to even out all the patchiness. Honestly, I think the topcoat was the real reason as to why it evened out. Despite the bad formula, it's a gorgeous color and I think it will be great to create gradients with. Maybe even water marble. It dries matte on it's own, but I added a matte top coat because there was a tad bit of shine finding it's way through. For my matte top coat, I used INM Out the Door Matte. I used this once before and had an awful experience with it and refused to ever try it again. Since that time two years ago, I have received two other bottles of the top coat. I decided to give one of my newer bottles a try to see if it did the same awful shrinking and shriveling the other did. This one was great and I have zero complaints. Just like when I use my OPI Matte top coat, I first went through and added a shiny topcoat. This way the designs are sealed in, and I think it prevents the shrinking too. For my shiny, I used plain old Out the Door. When it was completely dry, I used one coat of the Matte and everything turned out well! What do you think? 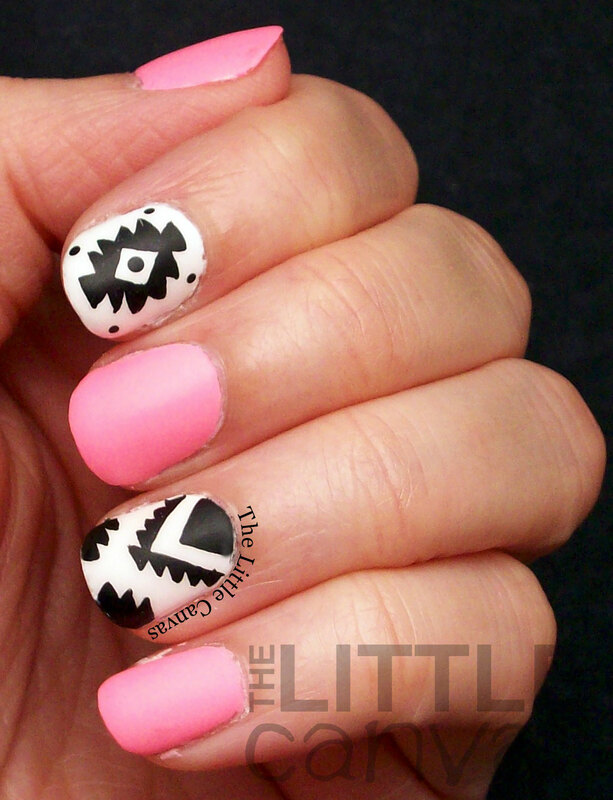 Fan of this manicure? Think I should do more matte designs? Don't forget to check out the other Twinsie's posts!